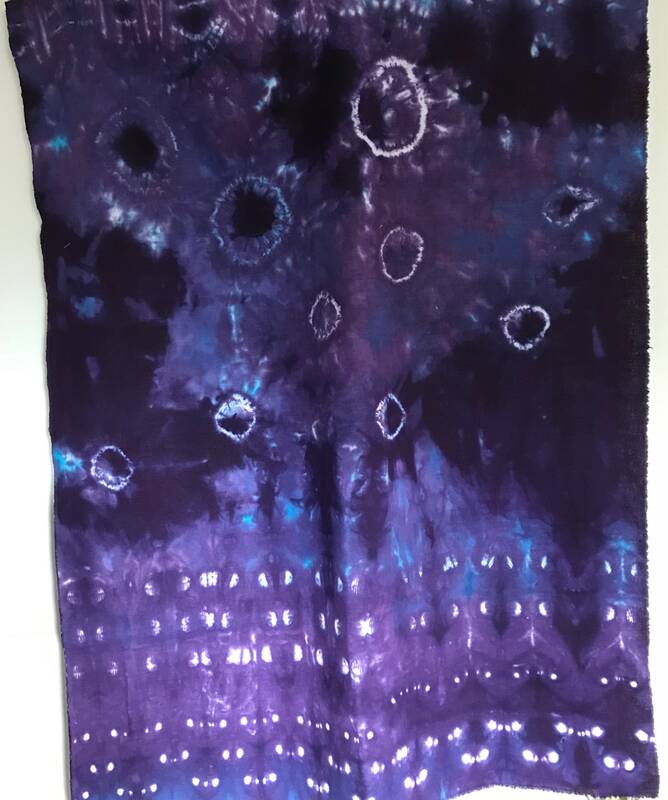 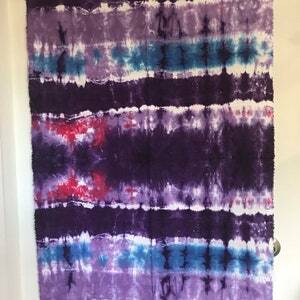 Essex linen cotton blend, hand dyed using shibori techniques in purple with turquoise highlights. 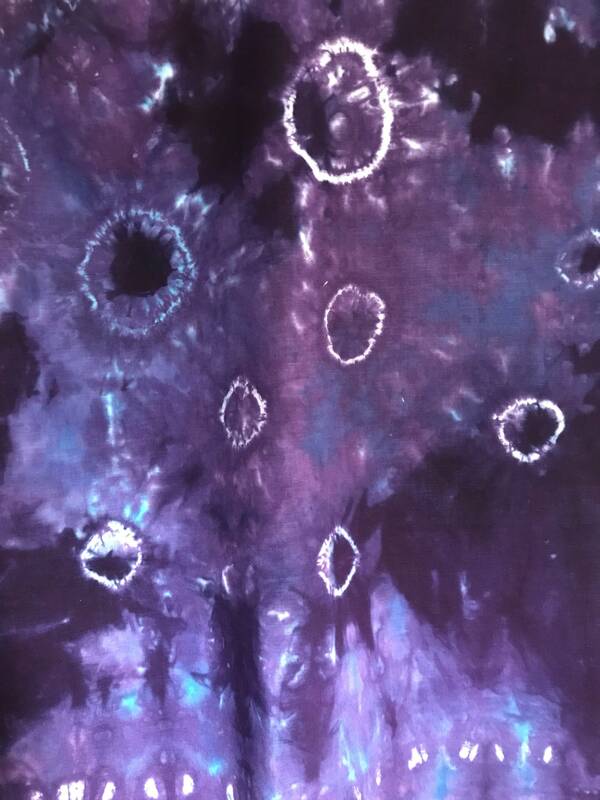 Great for whole cloth quilting - use as a medallion center piece, use in a wearable art piece. 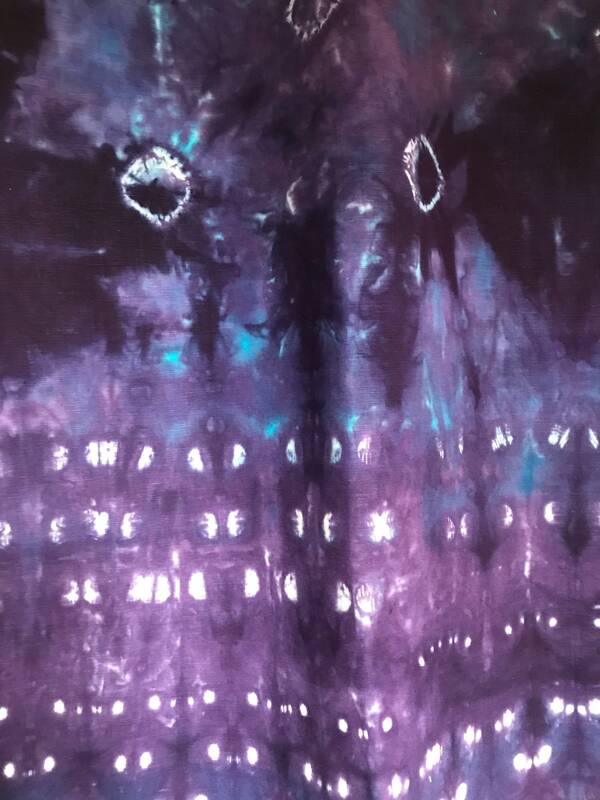 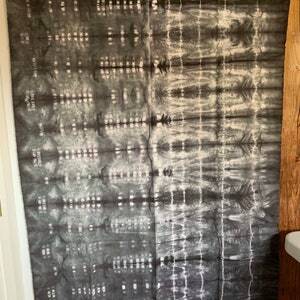 Piece could be used as a summer handbag or a cool top. 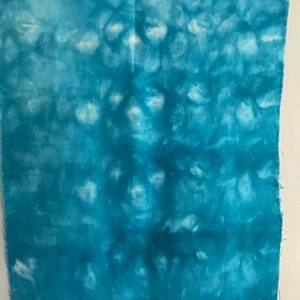 Shibori honeycomb, one of a kind, LC328, color 1.10), Periwinkle blue, third yard, 12 x 54. 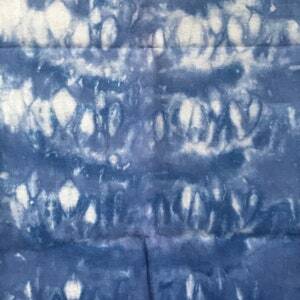 Shibori, Linen Cotton, one of a kind, Purple, Blue and Red, 28x52, 3/4 yard.